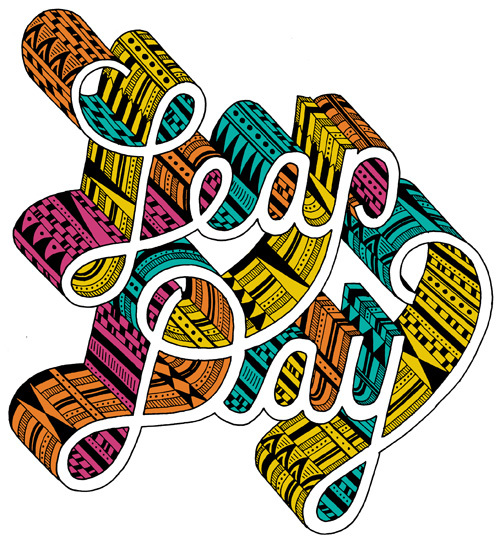 A week ago today was leap day, February 29th, the day that occurs once every four years on a leap year. Good thing we have smart scientist people to tell us that the Earth isn’t always exactly on time, and we need to make up for it every fourth year and every couple of decades with an extra day. A week ago today I also made a leap. A leap of taking the Bureau abroad to see if the independent designer lifestyle and running a small business could really transcend continents. A leap to see what the next year in life will bring me. And, boy howdy, so far it has brought me a 600% increase in pickled herring consumption. Leap year also made me pause to consider the markers we all use to gauge time. It’s easy to get bogged down in daily routine, so I choose to look at these anomalies in an otherwise flatline of days and months and years as a time to look back, and look forward. Take stock, rearrange, and make some plans for what you want to accomplish. What leaps do you want to take?